1. d4, Nf6/ 2. c4, e6 / 3. Nc3, Bb4 / 4. Bg5, h6/ 5. Bh4, c5/ 6. d5, Bxc3/ 7. bxc3, e5/ 8. Qc2, d6/ 9. e3, Qe7/ 10. Nf3, Nbd7/ 11. Nd2, e4/ 12. 0-0-0, 0-0/ 13. g4, g5/ 14. Bg3, Ne5/ 15. h3, Ng6/ 16. Be2, Re8/ 17. Rdg1, Bd7/ 18. h4, Rab8/ 19. hxg5, hxg5 /20. Rh5 !!!? 20. …, Nxh5/ 21. gxh5, Nf8/ 22. Nxe4! !, Qxe4/ 23. Qxe4, Rxe4/ 24. Bxd6, Rbe8/ 25. Rxg5, Kh8/ 26. Bxc5, f6/ 27. Rg3, b6/ 28. Bd4, Nh7/ 29. Kd2, Rg8/ 30. Rg6, Be8/ 31. Bd3!? 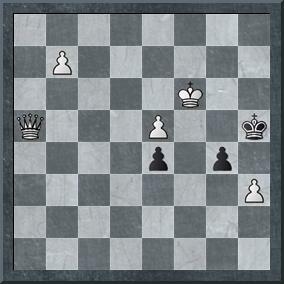 (Does the key of the game lie in this junction as Kasparov seems to hint at? Or at another point?) 31…, Bxg6/ 32. hxg6, Rxd4/ 33. cxd4, Nf8/ 34. c5, bxc5/ 35. dxc5, Nd7! 36. c6, Nb6 / 37 e4!! ?, Kg7 /38. Ba6 (Kasparov suggests 38. a4!? but …) ,Kxg6/ 39. a4, Kf7/ 40. a5, Na8!/ 41. Bc4 Rd8. Draw agreed!. Boris Spassky has been one of the most injustly treated among the World Chess Champions of all times. When I met him in 2007 he left a deep impression on me. I do not know if it was his personal charisma, the fondness with which he treated me or the traits of is character I could perceive, but this man is worth a clear and absolute vindication. And the problem is that you cannot mention Spassky without Fischer and the 1972 match cropping up immediately. But nobody seems to remember that Spassky was the leading figure of the 60’s, above Petrosian and Fischer. He had to play six gruelling Candidates’ matches and two World Championship ones to become Champion of the World, defeating Tal,Keres,Korchnoi,Geller ,Larsen,…and Petrosian. It is understandable that Fischer’s feat may overshadow any other achievement, but this does not mean justice to the man who also deserves it. 1. e4 , c5/ 2. Nf3, Nc6/ 3. d4, cd4/ 4. Nxd4, e6/ 5. Nxc6, bc6/ 6. Bd3, Nf6/ 7. 0-0, d5/ 8. Nd2, Be7/9. Re1, 0-0/ 10. Qf3, Nd7/ 11. ed5, cd5/ 12.c4,Nc5 (instead of 12…, Bb7 first) / 13. Bc2, Bf6 ( the plan is the attack on b2 and later the attack on the Q-side with long-range pieces so as to create indirect threats on the K-side. 13…Bf6 prevents White’s b2-b4 too. )/ 14. Nb3, Nxb3/ 15. ab3, Bb7/ 16. Qe3, Qb8/ (instead of defending passively with …a6/) 17. Ra2, Rc8 (threatening 18…,dc4) / 18. Qh3, g6/ 19. 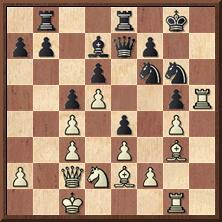 Bh6, dc4 (another attacking plan side-stepping White’s threats on e6) 20. Rxe6, Re8 / 21. Rxe8, Qxe8/ 22. Qe3, Qc6 (attacking on both sides of the board through files and diagonals)/ 23. 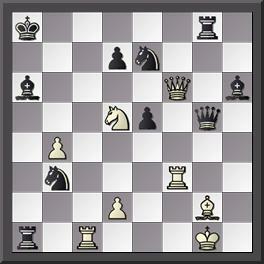 Qf3, Qb6 ( this move and the following one threaten…Re1 and prevent white’s h2-h3 or h2-h4 due to …Be5/ ) 24. 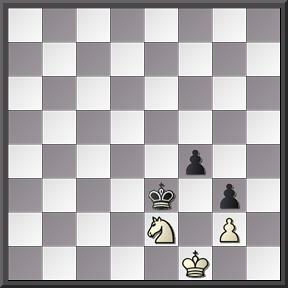 Qg3, Re8/ 25. Ra1, Bxb2/ 26. Rd1, Be5/ 27. Re1, Qa5/ 28. b4, Qxb4/ 29. Qxe5, Qxe1/ White resigned. As Black, Spassky is always thinking of counterattack. Instead of seeing defence as something passive, he always try to create counter-threats. I think he prefers to isolate his opponents’ concrete threats and try to meet them one by one rather to set up a whole defensive strategy as the order of the day. In purely “Leningrad School of Chess”, he tries to counterbalance his opponents’ attacks in an active -never passively- way. He believes more in active plans than in prophylactic webs. This risky way of dealing with the problem of defence creates terrible clashes over the board. (Perhaps this is his Alexander Tolusch’s trademark -Tolusch was one of his first trainers. In my opinion,in some aspects of Boris approach to Chess, Tolusch influence is more conspicuous than Bondarevsky’s one.Tolusch trained Boris when he was a young boy and was forming his Chess style. Those first childhood influences are hard to erase because, due to psychological reasons, they tend to remain firmly stuck on one’s mind) . All in all, I have always found something elusive (indistint?, unclear?,blurred?, diffused?…) in Spassky’s style, something that is there but cannot be easily brought to the surface. Perhaps it is a blend of Alekhinian influence plus the Leningrad School of Chess, something he learnt as a child and later developed in thousands of games perhaps in a rather subconscious way. It is not only the way he plays Chess, it is also the way he understands the relations among the different elements that compose the game. In my humble and perhaps wrong opinion, this explains why in the sixties he became nearly unbeatable, why he managed to go through two gruelling series of Candidates’ matches to play for the World Championship in 1966 and 1969, and why the always ferocious Bobby Fischer, with his hate for the Soviets, failed to beat him during those years. In fact , between 1960 and 1971, the score between them was clearly in Spassky’s favour: +3 -0 =2, and forced Fischer to change his approach “to the Spassky problem” so as to beat him in 1972. (Nevertheless, in 1972 Spassky’s wrong approach and wrong punctual decisions helped a lot to allow Fischer play the type of psychological game most favourable to his interests. And this has been admitted by Boris himself.). During those years he also defeated all sort of chessplayers like Petrosian, Keres, Geller, Tal, Korchnoi, Gligoric, Larsen, Polugaevsky, Bronstein, Smyslov, Reshevsky, etc. Spassky always attack undefended pieces/pawns using it as a sort of intermediate-move device. Whenever possible, he defends his pieces indirectly by attacking his opponents’ ones. This also allows him to improve the position of his own army without restoring to passive defence. Another effect of this way of playing is that he manages to charge the position with energy ready to explode later in the game. He always creates and maintains tension in the position sustaining it as longer as possible. 1.e4, e5/ 2. Nf3, Nc6/ 3. Bb5, a6/ 4. Ba4, Nf6/ 5. 0-0, Be7/ 6. Re1, b5/ 7. Bb3, d6/ 8. c3, 0-0/ 9. h3, Na5/ 10.Bc2, c5/ 11. d4, Qc7/ 12. Nbd2, Bd7/ 13. Nf1,cd4/ 14. cd4, Rac8/ 15. Ne3, Rfe8/ 16. b3, ed4/ 17. Nxd4, Bf8/ 18. Bb2, Qd8/ 19. Ndf5, Bxf5/ 20. Nxf5, g6/ 21. Ne3, Bg7/ 22. Qd2, Nb7/ 23. b4, Qe7/ 24.f3, Qf8/ 25. Bb3, Nd8/ 26. Rad1, Rc6/ 27. Rc1, Qe7/ 28. Kh2, Qd7/ 29. Nd5, Nxd5/ 30. Bxd5, Rxc1/ 31. Rxc1, Qe7/ 32. Bxg7, Kxg7/ 33. Qc3, Kg8/ 34. f4, Ne6/ 35. g3, Ng7/ 36. Qc7, Qf6/ 37. Rc2, Rf8/ 38. Qb6, g5/ 39. fg5, Qxg5/ 40. Qxa6, Qe5/ 41. Qxb5, Ne6/ 42. Qf1, Kg7/ 43. Qf5 , Black resigned. Professional chessplayers, even those charismatic World Champions, are ,primarily, human beings. Like you and me. All right, we tend to see them as “very fortunate” and so on. Indeed, they are Chess geniuses. But they are men and women with feelings. And feelings can be shared, but can also be hurt and even destroyed. In 1966 the Chess World Championship match featured the clash between “iron” Tigran Vartanovich Petrosian and Boris Vasilievich Spassky who had managed to qualify after beating Keres ,Geller and Tal in the Candidates’ matches. Petrosian was considered the representative of the ultra-positional/solid style while Boris’ style was universal, fresh, aggressive… Many cliches have been repeated ad nauseam as if they were absolute truths. But Gligoric wrote that Petrosian was an excellent tactician, and that one can only become Champion of the World after winning many games against the best chessplayers in the world. As everybody acknowledges, Petrosian was an overwhelming strategist too. So, they were the best players in the world at that moment. In 1969, after three new Candidates’ Matches, Spassky was again knocking at Petrosian’s door. The match took place from April 14th to June 17th, once more in Moscow. This time Spassky had learnt the lesson. Gligoric wrote that the events in the match had helped to create an Armageddon atmosphere. The match was a terrible fight, with both players out for blood while the supporters on both sides held the breath one game after another. No more “fencing courtesy” , total struggle for the sake of it. The 17th game was the key turning point. With a total score of 3-3 so far and a maximum of 8 games to go, Spassky manages to win that game in 58 moves. After a draw in 60 moves in the 18th, Spassky won the 19th (the most famous one of the match) in 24 moves leaving Petrosian trailing down. But the wily Armenian won the 20th ( clear signal of the dramatic events taking place in the match) in 50 moves and Spassky answered back winning the 21st in 53!. The 22nd was a draw and in the 23rd Spassky offered a draw to sentence the match because in case of rejecting the offer, Petrosian would have had to face a new defeat… This World Championship match deserves close study. Sometimes beauty , learning and truth are hidden while everybody repeats what other people say or do without an inkling of independent thought. 1. c4 , e6 2. d4, d5 3. Nc3, Be7 4. Nf3, Nf6 5. Bf4, c5 6. dc5, Na6 7. e3, Nxc5 8. cd5, ed5 9. Be2, 0-0 10. 0-0 , Be6 11. Be5, Rc8 12. Rc1, a6 13. h3, b5 14. Bd3?, d4! 15. Bxd4, Nxd3 16.Qxd3, Bc4 17. Qb1, Bxf1 18. Rxf1, Nd5 19. Ne2, Bf6 20. Rd1, Qc7 21. Bxf6, Nxf6 22. Nfd4, Qe5 23. Qd3, Rfd8 24. a4!, ba4 25. Ra1, Ne4! 26. Qxa6, Ra8 27. Qd3, Re8 28. Nf4, g6 29. Qa3, Qf6 30. Nd3, Rec8 31. Rd1, Rc4 32. b4, Rac8 33. b5, Rc3 34. Qa1, Rxd3! 35. Rxd3, Qxf2 36. Kh2, Qg3 37. Kg1, Qf2 38. Kh2, Qg3 39. Kg1, Nf2 40. Nc6, Nxh3 41. Kh1, Nf2 42. Kg1, Nxd3 43. Ne7, Kf8 44. Nxc8, Qxe3/ White resigned. 1. e4, e5 2. Nf3, Nc6 3.Bb5, Nf6 4. 0-0, Nxe4 5. d4, Nd6 6. Bxc6, dc6 7. de5, Nf5 8. Qxd8, Kxd8 9. h3, Ke8 10. Nc3, h5 11.Ne2, b6 12. Rd1, Ba6 13. Nf4, Rd8 14. Bd2, Nd4 15. Nxd4, Rxd4 16. a4, Bc8 17. a5, c6 18. Be3, Rxd1 19. Rxd1, b5 20. Nd3, Be7 21. Bc5, Bd8 22. Nb4, Rh6 23. f4, f5 24. c3, Bh4 25. Rd3, Rg6 26. Kh2, Bb7 27. 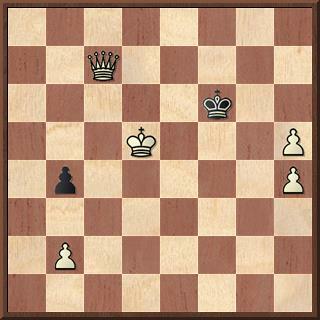 Nc2, Bc8 28. g3, Bd8 29. h4, Be6 30. Nb4, Bc8 31. Rd2, Bb7 32. Rd1, Bc8 33. Rh1, Bb7 34. Kg2, Be7 35. Nd3, Bd8 36. Kf2, Rh6 37. Re1, Bc8 38. Nb4, Kf77 39. Rd1, Ke8 40. Re1, Kf7 41. Re3, Rg6 42. Ke2, Rh6 43. Kd2, Rg6 44. b3, Rh6 45. c4, Rg6 46. Kc3, Rh6 47. Nc2, Re6 48. Nd4, Re8 49. Rd3, bc4 50. bc4, Bd7 51. Re3, Be7 52. Bxe7, Kxe7 53. e6, Bc8 54. Kb4, Kf6 55. Kc5, Bb7 56. Nxc6, g6 57. e7, Ba8 58. Re5, Bb7 59. Nd8, Bg2 60. Nc6, Kf7 61. Nb4 Rxe7 62. Rxe7, Kxe7 63. Nxa6 , Kd8 64. Nb4, Ba8 65. Nc6, Kc8 66. a6 , Black resigned. Chess News.ru has published a statement by the Deputy Chairman of the Russian Chess Federation Ms. Rimma Bilunova explaining that Boris was in Moscow by his own will and after being helped by some “friends” so as to flee from his family in Paris. Ms.Bilunova blames Spassky’s wife of not renewing Boris’ medical insurance policy after being sent back home from the Paris hospital and also accuses Boris’ sister of being in favour of Spassky’s wife in the affair. Since everybody knows this affair it seems as if the Chess world has other things to do, because the Spassky case has fallen into oblivion. Not for me. 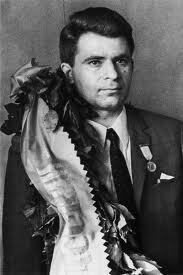 Boris Spassky was one of the best chessplayers of the world during the 60’s of the 20th century. He played two times for the World Championship after a series of six gruelling matches against the best players in the world, and finally he defeated Petrosian in 1969. Moreover, he is my friend. Unfortunately we are in an iconoclastic world where people despise the past and are only interested in the immediate. We want everything and want it immediately. We do not care about the past and are ruled by greed, immodesty, selfishness and vanity. I hope one day we will know the real story of Boris Spassky, and hope that those with whom he is now, take care of him. A public appearance will be welcome.